At Sierra Tucson, we have spent more than three decades treating both women & men who struggle with mental health & addiction. 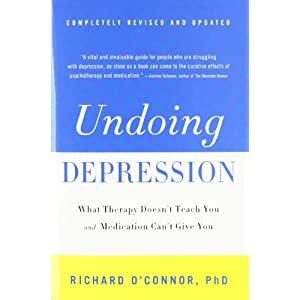 UNDOING DEPRESSION teaches us how to replace depressive patterns with a new and more effective set of skills. This authoritative, easy-to-use self-help program is based on methods clinically proven to reduce the recurrence of chronic unhappiness. Clinically Proven. Natural Anti-Depressant - Relieve depression and anxiety by boosting the levels of your feel good brain chemicals naturally. Experiencing Depression, Anxiety or Sleepless Nights? Try our all-natural neurotransmitter support crème for feelings of anxiety, depression, and sleeplessness that helps promote an overall sense of well being. In this 4-part series, health expert Gary Null, Ph.D., examines the truths and misconceptions about mental health in America, and natural and healthy alternatives for overcoming depression and anxiety. Offers readers step-by-step, clinically proven cognitive behavioral therapy (CBT) techniques to recognize and change depressive thinking.